Explore the world of punctuation beyond the typewriter. Learn about em dashes and en dashes and small caps. Learn how to use the split ruler in your word processor. Understanding the fine points of how to translate your ideas into text will empower you as a writer and encourage your editors and typesetters to buy you chocolate. Everyone forgets how to use a semicolon correctly some time between graduating high school and the time they begin to write their first book. As I work on my own 7th book and edit those of my clients, I still find myself researching correct usages on the Internet. How should I hyphenate this? Is this word hyphenated or compound? Now that you have a use for all that boring grammar stuff, you’ll learn it quickly and enthusiastically—if you pause to look it up. You may be a capable writer, but you’re too close to your work to be objective about it. Even professional editors hire professional editors. You’ll never regret working with one. It’s essential to get quality writing advice and publishing advice. A good editor can give you both if they’re familiar with your genre. Don’t pay anyone to be your publisher. Real publishers pay you. Paying someone to be your publisher is like paying someone to take a vacation for you so you can stay home and work. If you’re going to self-publish; do it yourself. Accepting a “free” ISBN means whoever gave it to you is the publisher of record. Yes, ISBNs are an overpriced rip-off, but that’s the cost of doing business. You get what you pay for. Thousands of writers get suckered by vanity presses because they don’t do a simple Google search. Look up a vendor on predators and editors before you sign up for the “silver package.” Heaps of information are a click away and yet, writers continue to dive in head first in the dark without seeking readily available publishing advice. Typesetting a book with Times or Helvetica is like eating unflavored gelatin for dessert. Book layout and typography is one area where self-published books can be superior to trade books, but few authors bother to leverage this advantage. Big publishers print 30,000 copies of a book, so they use tiny type, narrow margins, and tight leading (line spacing) to save big on ink, paper, and shipping costs. If you self-publish and have the luxury of printing one book at a time, don’t design your book to imitate the compromises and limitations of mass production. Don’t write in a vacuum. Join a critique group. Not only will you gain valuable insights from others, you’ll learn by scrutinizing their work and figuring out how to articulate what’s wrong with it constructively. You’ll also clean your book up significantly before you submit it to an editor—which saves time and money. If you want to publish traditionally, research the information that agents and publishers want answered in a query letter. Usually this information includes who your target readers are, how you’ll communicate with them, what similar books have sold well, how your book is different from these without being too different, what your marketing strategy is, etc. Write a book that offers compelling answers to those questions. Consider calling agents to ask what’s hot. 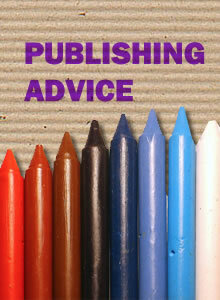 Get some publishing advice from people who publish. Forget formulas. Every book and every author is different. Your prejudices for or against any particular type of publishing will only prevent you from embracing the best solution for you. Self-publishing is not a consolation prize, and a traditional publishing contract is not necessarily prestigious or lucrative. Traditional publishers reject excellent books every day. Don’t question your writing ability just because the publishing establishment doesn’t see your property as marketable. A well-crafted book may be too esoteric to sell or it might appeal to too small an audience. Respect publishers for doing this; they’re in the business of selling books, and they have to move product to survive. This doesn’t mean you stink as a writer. Everyone wants to sell books and make a lot of money, but writing a book is an adventure and a learning experience. So is publishing. Enjoy the journey. Very few books sell—even trade books—but writing a book and releasing it into the wild is no small achievement. Some kinds of success can’t be measured on a spreadsheet. Be sure to celebrate yours even if a friend has to pay for the dinner. Big publishers are book sellers. They produce a new catalog of 90–120 books every quarter, and they push these to a huge distribution network of physical and online stores. If you have one or only a handful of books in your “catalog,” consider how you—not your book—can be “the product.” If writing a book on a particular subject establishes you as a subject matter expert, revenues from speaking, consulting, and contracting will likely far exceed retail profits from selling books. And that’s okay. The world is full of advice about book promotion. “You have to have a blog and a Facebook page and a Twitter account and a Pinterest page and ….” The list is as endless as the sea of people out there screaming, “look at me.” Before you transform yourself from a first-rate author into a third-rate, overworked marketer, be sure you’re ready to commit to posting regularly, engaging with viewers who comment, building a mailing list, and managing the myriad other chores that will amount to hours spent not writing. If your book is marketable, consider engaging a book publicity firm to define and manage the best channels for you. Otherwise, set up an Amazon page and a personal website—then go back to writing. Nothing makes a worse marketing statement than an abandoned blog. 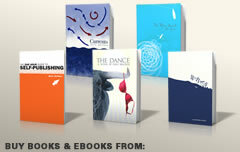 Crowdsourcing sites seem like a good deal for cover design, but they make you the judge of a design contest. If you have the design experience to distinguish between a comfort-inspiring cliché and an innovative graphic statement, to judge whether or not the typefaces used on your cover fit the time period of your book, and to tell whether the placement of text and the ink density of the images will dovetail with your printer’s specifications, you might get away with it, but … a real cover designer will read (at least most of) your book, and will come up with appropriate visual storytelling to communicate its essence to readers. A professional designer makes informed choices about typefaces, colors, layout, and other aspects of design—and will be able to explain the basis for all of them. I see self-designed and crowdsourced covers every day that authors are proud of, despite the fact that they’re amateur in every respect. If you’re not a designer and can’t afford one, at least solicit a critique on a designers’ forum. What you can’t see might kill your book. If you spend 1000 hours writing a book and 1 hour learning about the publishing business, your odds of success will be 1:1000. A professional will take 8 hours to read your book and another 2 to write a substantive review. Any moron can write, “5 stars; loved it,” but a real review burns up a lot of professional hours. Don’t send unsolicited free books to “qualified reviewers” unless you want to flood the market with one-cent “used” copies of your book. Don’t be afraid to pay for a review. Do you think the NY Times book reviewers work for free? If you want a free review, be prepared to write one in return. Hire editors and designers to work with you directly. A “one stop shop” may sound convenient, but usually, it means someone is marking up the services of someone you don’t engage with personally. Skip the markup middlemen and use the same budget to hire professionals at professional rates. Good points on the post and good response on the criticism. You know, Dave, how long I’ve been doing this stuff myself, and we both know how far ahead of me you are on this curve. Thanks for throwing a lifeline back along the river. Sharing this one far and wide. All useful stuff, but why did you use Times Bold for the text? Not the most readable of fonts. And by the way, did you take you own advice and get a professional to check your prose? S/he would have suggested you get some consistency in your styles, for example, you’ve used: “6 books”, “my seventh”, “7th book”, all in one document! I’m busted on point one. I had a web font in there at one time, but every once in a while, it wouldn’t load for someone and the first thing they’d do is lambaste me on the forums for “posing” as a designer and using an “invisible” font. Then I changed to Garamond and Georgia, which everyone can load. Somewhere along the line, my custom CSS got overridden by an upgrade or something. Times crept in (and I will soon purge it). Thanks on that point. 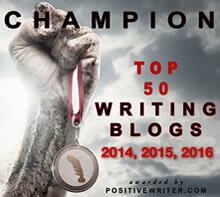 As for the rest, it’s a blog – informal writing. I do my best, but you may notice I don’t sell subscriptions or products or ask for money. It’s all free. I always engage an editor for a book, but the blog would bleed me dry money and timewise if I had to polish it to the same standards. The world will have to decide whether or not I’m worthy to give away my time and experience without having an editor go through it. I don’t promise perfect form, but I try to deliver useful, hype-free information.